A collection of authoritative books on the world’s top three fortified wines. 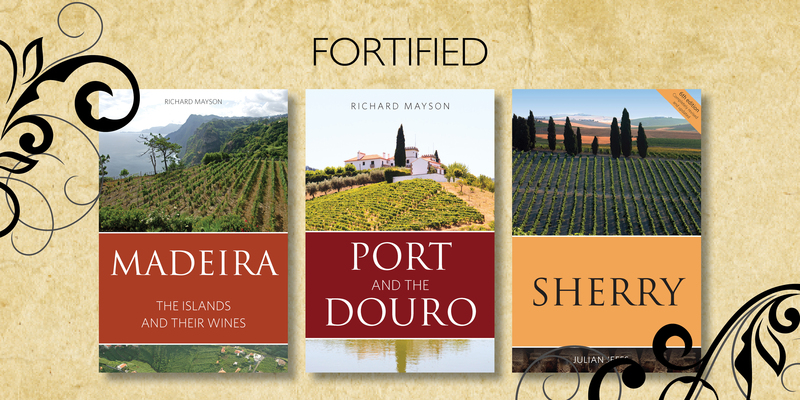 In Port and the Douro, Richard Mayson details the different styles of port and explores the most significant producers – from big names to boutique makers. With vintage reports stretching back to 1896, Port and the Douro is an indispensable reference guide to one of the world’s greatest fortified wines. The sixth, fully revised and updated edition of Julian Jeffs’ Sherry explores the fascinating, turbulent history of the sherry region and details its wine production – from the planting of vines in the south of Andalusia and the complex stages of fermentation, ageing, and blending, to the moment it leaves the bottle. Richard Mayson also provides the third book in this set, Madeira: The islands and their wines. One of the most enthralling of the world’s wines as well as the most resilient, Madeira is currently experiencing a renaissance. Here, Mayson uses his considerable experience of fortified wines to explain Madeira’s magic.